Today's blog is by guest blogger Kevin Dincher. 25 years ago as a new manager, I had to fire an employee for the first time. When I inherited her, she was a long-time employee with a lengthy history of poor quality work, low productivity, negativity and troublesome relationships. Firing her was drawn-out and excruciating—but I learned early on the importance of hiring the right people—and not hanging on to the wrong ones. Making good decisions about who is on your payroll is critical to your company’s success—and to your own success. 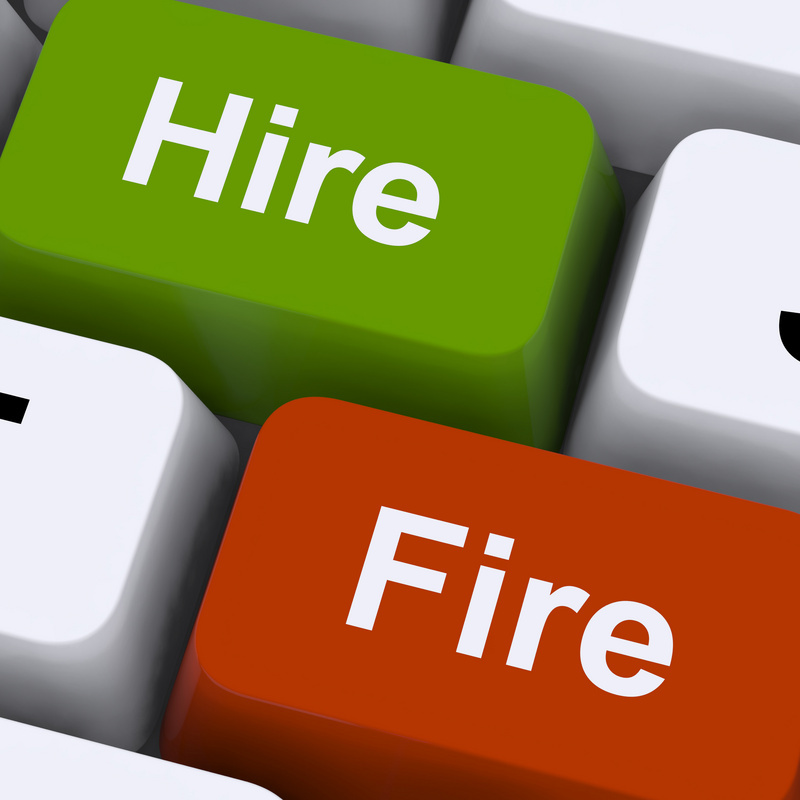 Unfortunately, because the pressure to fill vacant positions is enormous, the tendency is to rush to hire. But the wrong help is worse than no help. Achieving the ultimate hiring goal—a high performing employee who meets your needs and is a good fit for your company and team—takes time. Keep in mind that you are hiring to fill a need, not a slot. Before you start recruiting, figure out what you really need from an employee. If your business is growing, that can be difficult. You need to be forward thinking and hire for where you want your company to go, not where it has been. And don’t forget the intangibles: how important are collegiality, commitment, passion, confidence, communication skills, patience, high energy, and the like? Identifying these intangibles is as critical to good hiring decisions as identifying technical skills. After identifying your needs, create a job description with as much detail as possible. You want candidates and new hires to be clear about responsibilities from the start so there are no confused expectations. Additionally, be sure to have your company policies and procedures for employees in writing. That will save you big headaches later if someone doesn’t work out. I am always surprised when people don’t prepare their interview questions ahead of time. There isn’t enough space here to go into all ways that contributes to hiring mistakes. If your ultimate goal is a high performing employee who meets your needs and is a good fit, you need to come away from the interview with the right information. Preparing your interview questions before you schedule interviews helps you get that information. Forbes has a good list of standard interview questions—but be sure to include some company-specific questions and questions that give you a sense of the candidate’s personality. By the way, never be the only person to interview candidates; have other managers and team members do interviews. They provide important perspectives and make sure that a candidate fits with your culture. Of course, no matter how hard you try you will never know if you hired the right people until after you’ve hired them—and you will make hiring mistakes. But it won’t be because you rushed. Save the speed for fixing those mistakes.